Times are changing. Things that were considered unheard of a few decades ago are becoming more common each day. With the norm being changed so drastically men and women have sometimes begun to switch roles in the family. Having women in the work place isn’t exactly a new concept anymore. But men staying home with the family is still relatively rare. The lack of precedence can make things a bit of a challenge sometimes. But that’s okay. It’s human nature to want to overcome challenges. The first thing a stay-at-home dad needs to remember is that they don’t have the exact same maternal instincts as a woman would. That isn’t to say that a man doesn’t want to care for his kids just as much, but rather that he often has to think about it a little more. At least at first. Over time you can develop that instinct and it will become second nature. A man’s natural instincts usually come out in more of a hunter form than that of a caretaker. While a mother may typically want to make the world safer for her child, a man is more likely to want to make the child tough enough for the world. These are very similar ideas that are still drastically different. Especially when dealing with younger children, it is always a good idea to make them feel safe. This means providing a safe environment for them to grow and explore in. You don’t have to neglect teaching them the skills they’ll need when they’re older. But never forget that they are not on their own just yet. One of the hardest thing a stay-at-home father will face is the fact that even though society is coming around, it’s still not quite used to seeing a man playing at the park with his toddler on a weekday afternoon. The father will sometimes have to catch a dirty look or two when he explains that his spouse works while he takes care of the baby. If you are happy with this arrangement you’ve made with your family then the best thing you can do is to own it. be proud of what you do. After all, you are personally seeing to it that your children grow up well. Sometimes a father will be stricken with a sense of helplessness. He may feel a need to get out of the house and work or do something else that he finds productive or enjoyable. This feeling isn’t exclusive to men. People want to feel that they’re doing something with their time. The primary caregiver should always remember that spending time with, and raising, his or her children is a very important job. Not to mention that working and caring for your kids is not impossible. Just look at how many single parents have pulled it off in the past. Society will continue to shift and change for as long as it exists. social norms will be built and rebuilt. If you’ve found a structure that works for you and doesn’t harm anyone else, why should you care if it’s considered normal right now? If being a stay-at-home father is what the future, or even the present, holds for you, then so be it. 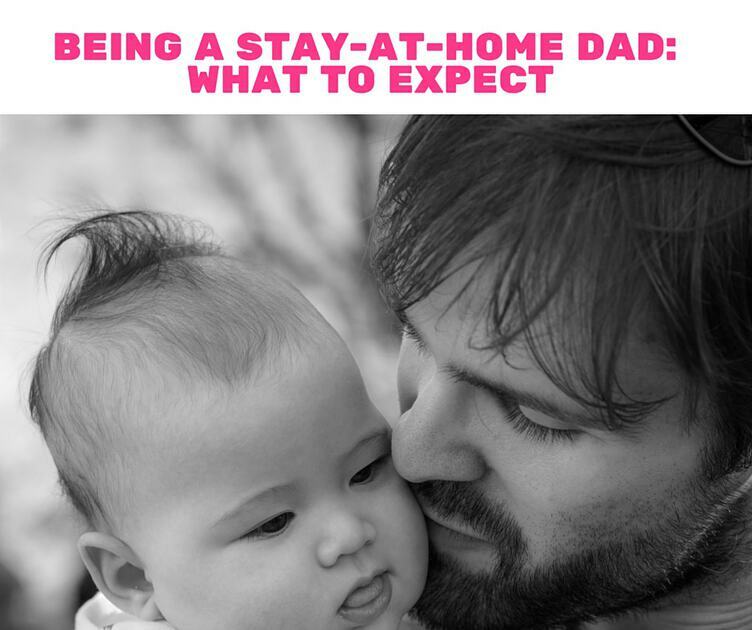 Just remember these few things and be the best stay-at-home dad you can be.